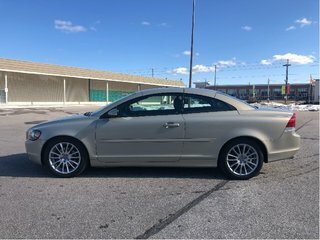 Home > Used Vehicles > Volvo > C70 > 2007 > 2007 Volvo C70 T5 A RARE 1 OWNER *CONVERTIBLE* ! ONLY 78,900 KM ! ZANZIBAR GOLD PEARL ON BLACK LEATHER TRIM EQUIPPED WITH 2.5L TURBO CHARGED ENGINE & 5 SPEED AUTOMATIC TRANSMISSION, 6 - CD RADIO, XENON HEADLAMPS, DUAL ZONE AIR CONDITIONING / HEATING, DUAL POWER SEATS, HEATED FRONT SEATS, FOG LAMPS, COMPASS, LEATHER WRAPPED STEERING WHEEL, POWER RETRACTABLE MIRRORS, KEYLESS ENTRY, AIR BAGS - DUAL FRONT, DUAL SIDE AND SIDE CURTAIN, ANTI-LOCK 4 WHEEL DISC BRAKES, DUAL ILLUMINATED VANITY MIRRORS, 4 PASSENGER SEATING, AND MUCH MORE..... ONE OWNER TRADE-IN. PURCHASED HERE NEW AND TRADED-IN ! EXCELLENT CONDITION. TIMING BELT CHANGED. FULLY RETRACTABLE HARD TOP CONVERTIBLE. 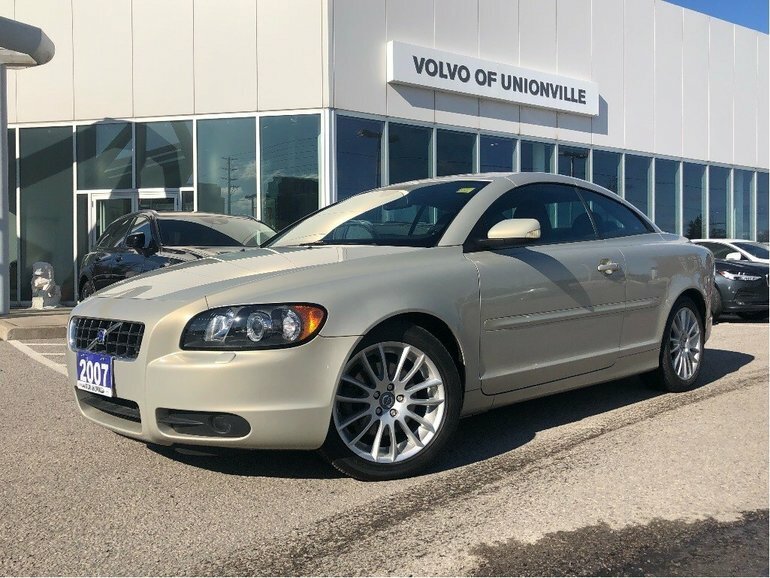 COME & CHECK OUT THIS RARE VOLVO C70 TODAY ! 2.5 L - 5 cyl. 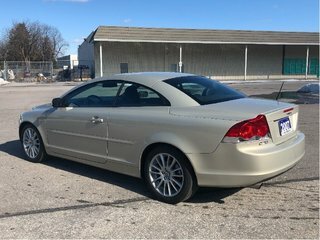 Interested by the 2007 Volvo C70 T5 A RARE 1 OWNER *CONVERTIBLE* ! ONLY 78 ?